3 of our trained sales team members at the Silver Spring Chamber of Commerce Taste of Silver Spring. 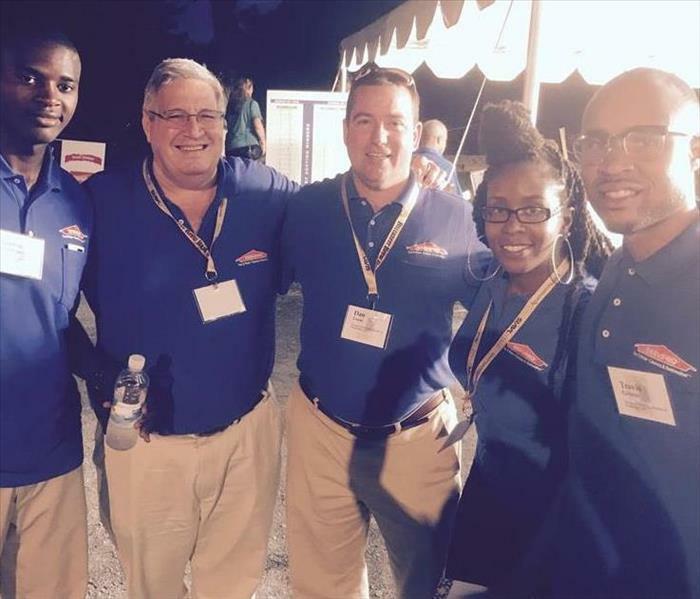 We always enjoy attending The Property Management Associations Annual Lobsterfest held in Darnestown Md. Pictured here are the Director of Marketing, some of our disaster relief specialists and our marketing coordinator. Collectively we make sure that everyone in the DMV area knows that we are here to help. We are the number one fire chasers in this area as well as across the country. Our friendly sales team makes sure that you are taken care of the right way when a disaster strikes your property. Trust the professionals! Three of our Senior Disaster Relief Specialists at our trade show booth in April of 2017. 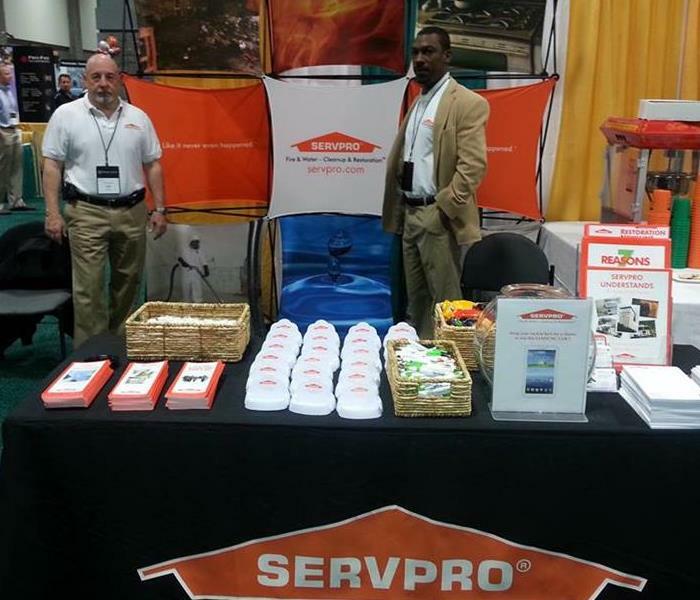 This expo brought property managers, real estate professionals, and commercial service providers together. These three are the top specialists in this area. They cover the whole Washington DC territory. Our Marketing Coordinator and one of the members of the sales team waiting on their turn to bowl next. Faster to any Size Disaster, SERVPRO of Washington, DC is available 24 hours a day to restore your Washington property and get you back to business. 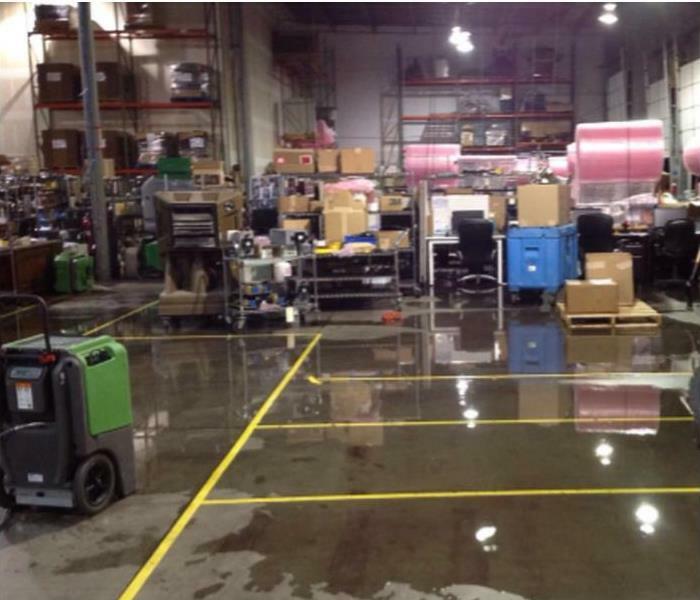 We have the expertise, equipment, and highly trained personnel to handle your commercial water, fire, or mold damage. Washington Metropolitan Chapter of Community Associations Institute Trade Show held at the Washington Convention Center in Washington DC. Pictured here is the full sales and Marketing team. 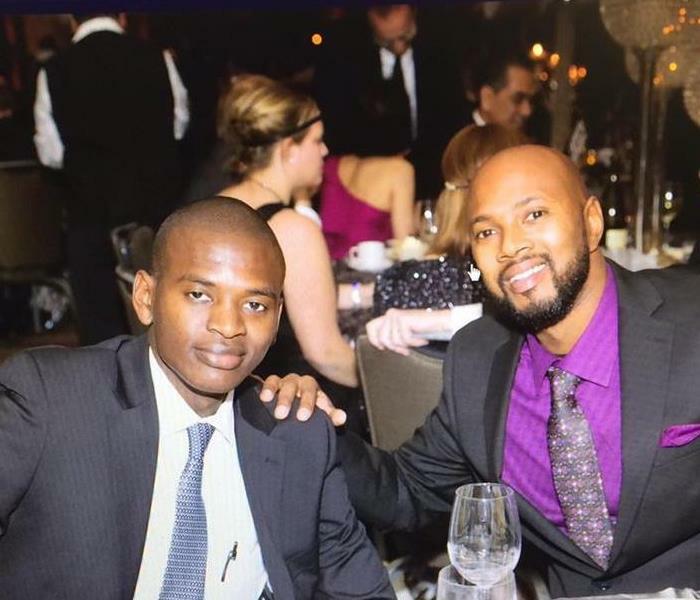 Two of our disaster relief team members Thomas Murphy and Leonce Koyakosso enjoying networking and good food at the Property Managers Association annual Holiday Ball. Our Disaster Relief Specialists mingling at the annual Baltimore Washington Corridor Chamber Holiday Mixer. 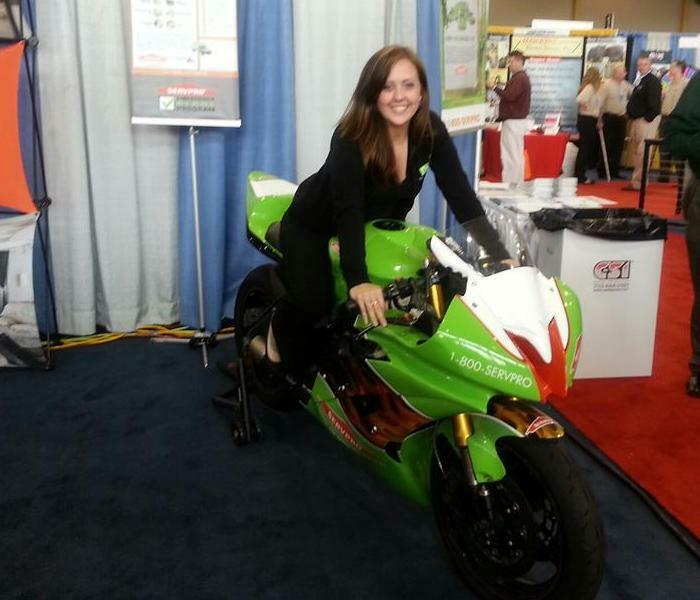 Christine D. is "faster to any disaster" on the SERVPRO Motorcycle! 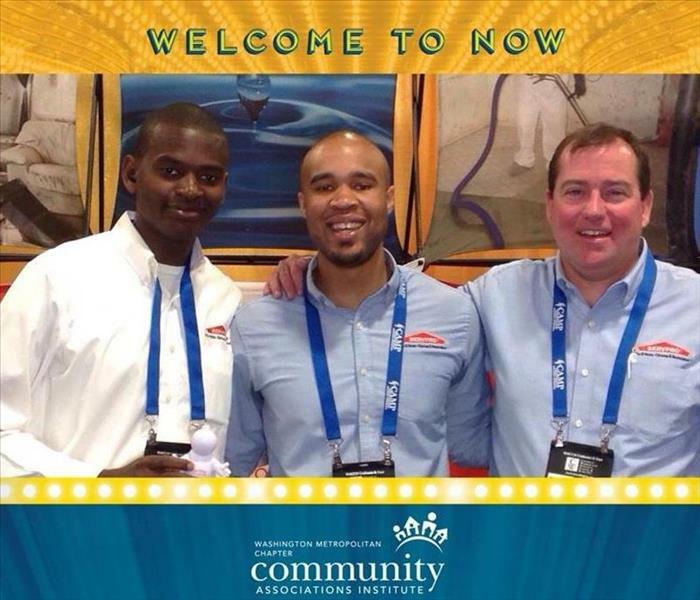 Members of our Sales Team on-site at Community Association Institute Expo. Property Management Association Annual August networking event. 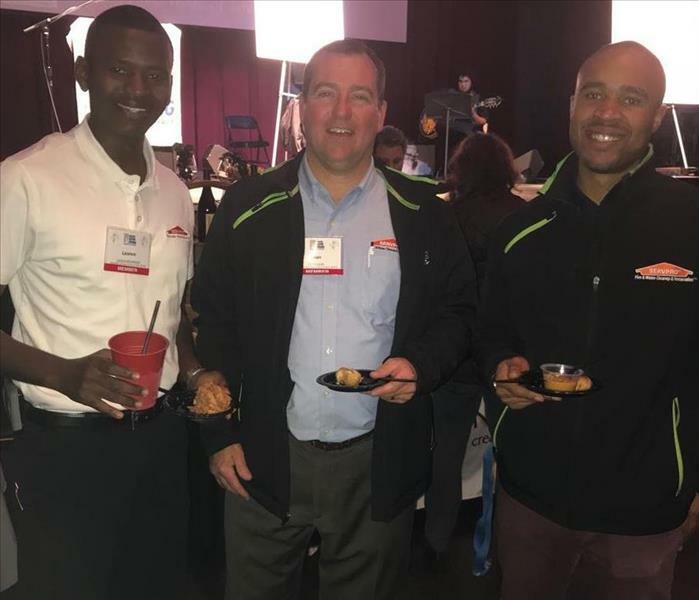 SERVPRO's sales team attended. The theme was Back to the Future, and the team got to post with a Delorean and crew. 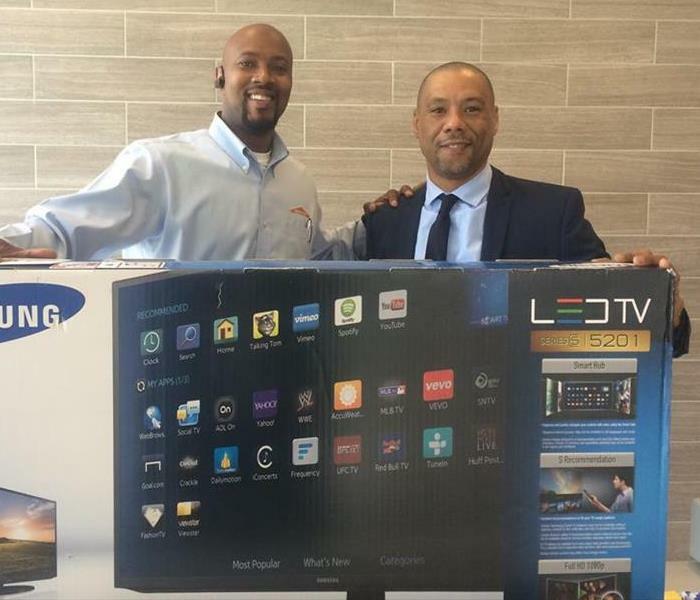 Tom Cole (right) of Marquee Management won a Samsung 40" Smart LED TV at a random drawing held at the Property Management Association Expo earlier this month. Way to go,Tom!